The snack giant is investing in a program to help Ethiopian farmers develop a chickpea crop. But it’s not altruism: Pepsi wants access to a lot of chickpeas, because that’s what they want to sell us. In the future, we all may eat a lot more chickpeas. That’s because PepsiCo just announced its participation in Enterprise EthioPEA, an initiative that aims to dramatically increase chickpea production in Ethiopia to increase both economic and nutritional security in the country. And PepsiCo has a vested interest in the project that goes beyond just helping Ethiopians; the company wants more of a chickpea supply for its products. The initiative, a partnership between PepsiCo, USAID, and the UN World Food Programme, will work with 10,000 farmers in Ethiopia to help them reap a twofold increase in chickpea production using irrigation and advanced agricultural practices. 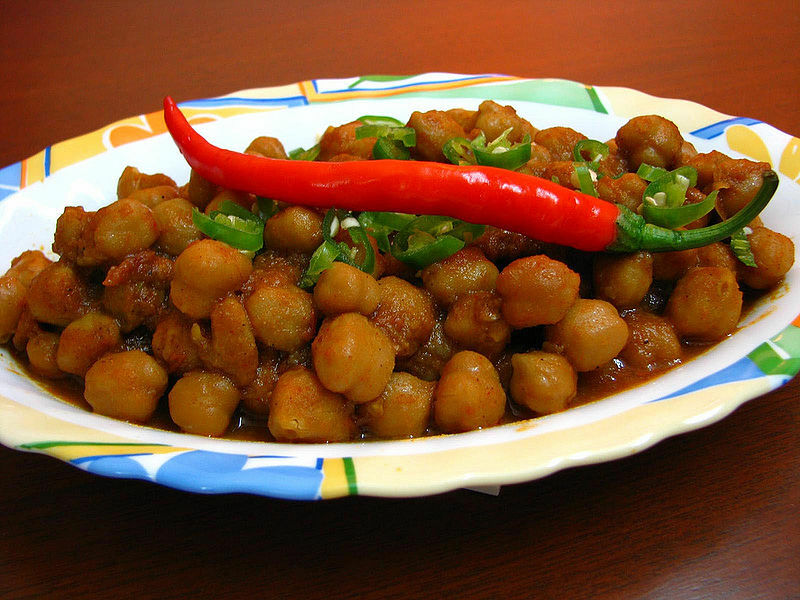 EthioPEA also plans to devlop a supplementary chickpea-based food (chickpeas are a more sustainable alternative to meat) that will eventually reach almost 40,000 Ethiopian children that are at risk or suffering from malnutrition. Make no mistake: this is not just a charitable venture for PepsiCo. Once EthioPEA has scaled up Ethiopia’s chickpea supply chain (the country is already the sixth largest chickpea producer in the world), the initiative expects to help grow local businesses that rely on the stuff and ensure that there is a steady stream of Ethiopian chickpeas to go into the hummus made by Sabra, a business owned by PepsiCo and Strauss Group Ltd. The company also anticipates selling a chickpea-based product locally, and perhaps developing more chickpea products in the future that are sourced from the country. In the future, everything might be made of chickpeas. PepsiCo sells plenty of unhealthy products–drinking too many sugary beverages on a daily basis could put anyone on the path to diabetes–but the company is also working on sustainable agriculture ventures around the world, including a potato farming project in China and a web-based crop management system. And with a goal of increasing revenue from “healthy” products to $30 billion by 2020 (up from $10 billion last year), pumping up the hummus supply makes a lot of sense. Not that hummus is great if you’re on a diet, but it’s better than a bag of chips.